Ashoka is an international citizen-sector organization whose mission is to build an Everyone a Changemaker World™. An Everyone a Changemaker World™ is one that responds quickly and effectively to social challenges, and where each individual has the freedom, confidence and societal support to address any social problem and self identify as a driver of change. 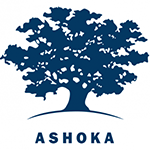 Ashoka is the world’s leading community of over 3500 social entrepreneurs. We champion the most important new social change ideas and support the innovators behind them by helping them get started, grow, collaborate and reshape whole systems. Since 1990, the Ashoka network in Africa has yielded some valuable insights about systems-changing solutions to improve social and economic outcomes on the continent. At the core of every innovation is a changemaker who saw a gap and entrepreneured a solution. That’s why, in addition to finding and supporting leading social entrepreneurs and identifying patterns in social innovation, Ashoka Africa now builds partnerships focused on supporting emerging changemakers and playing a critical role in convening collaborative ecosystems that will ensure Africa is a place where everyone works together to shift social systems.